In October 2013, Assembly Bill 711 was signed into law requiring the use of nonlead ammunition when taking any wildlife with a firearm in California. 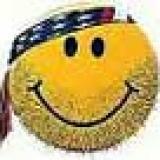 This law requires the Commission to adopt by July 1, 2015, regulations that phase-in the statute’s requirements, but it must be fully implemented by July 1, 2019. CDFW conducted extensive public outreach during 2014 and proposed regulations that phase-in the nonlead requirement. This outreach effort included question and answer sessions at sportsmen’s shows, meetings with hunting organizations and a series of eight public workshops throughout the state. CDFW then presented draft regulations, as modified by public input from these workshops, to the Fish and Game Commission. Phase 1 – Effective July 1, 2015, nonlead ammunition will be required when taking Nelson bighorn sheep and all wildlife on CDFW lands. Phase 1 – Effective July 1, 2016, nonlead shot will be required when taking upland game birds with a shotgun, except for dove, quail, snipe, and any game birds taken on licensed game bird clubs. In addition, nonlead shot will be required when using a shotgun to take resident small game mammals, furbearing mammals, nongame mammals, nongame birds, and any wildlife for depredation purposes. 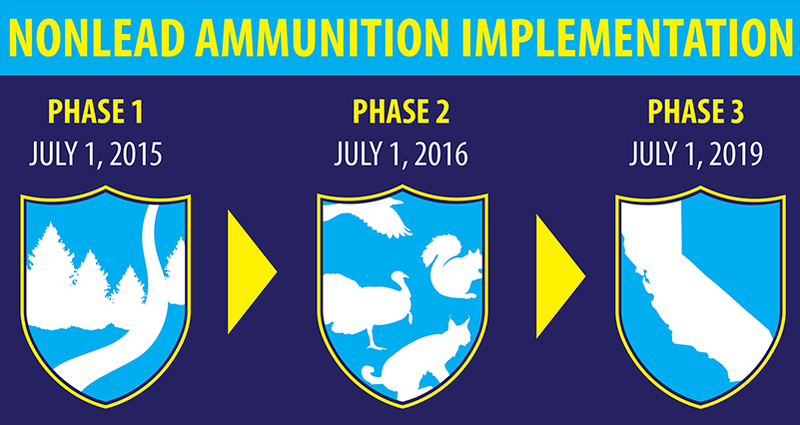 Phase 1 – Effective July 1, 2019, nonlead ammunition will be required when taking any wildlife with a firearm anywhere in California. Existing restrictions on the use of lead ammunition in the California condor range remain in effect while implementation proceeds.